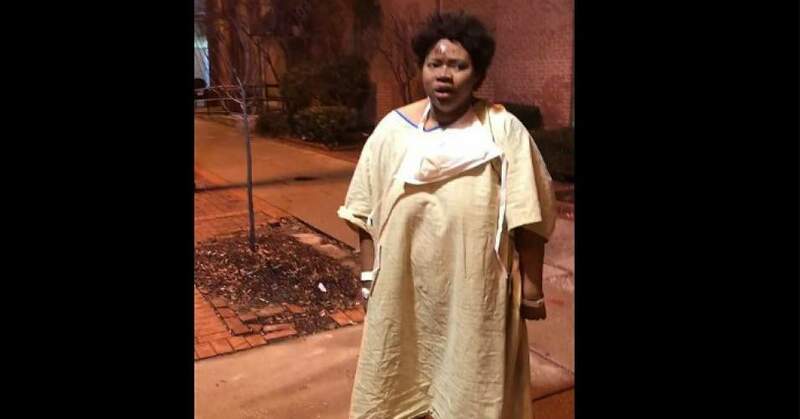 Described as a horrifying depiction of “the reality of U.S. for-profit healthcare,” a Baltimore-based psychotherapist this week caught on video University of Maryland Medical Center staff “dumping” a clearly incapacitated young woman into the freezing Maryland weather wearing only a thin hospital gown and socks. “Is this what healthcare in Baltimore City has come to?” asked Imamu Baraka, who captured the “disturbing” scene on his cell phone. The video has since garnered more than two million views. Baraka’s video soon sparked national headlines and widespread outrage, with many noting that “patient dumping” is a pervasive and under-discussed product of a system that does not guarantee healthcare as a right to all. “We are taking this matter very seriously, conducting a thorough review, and are evaluating the appropriate response, including the possibility of personnel action,” hospital spokeswoman Lisa Clough said in a statement. This entry was posted in Civil Rights, Corruption, Economics, Health Care, Human Rights, Income Inequality, Social Justice, Women's Issues, Workers' Issues and tagged Atrocities, Baltimore, Capitalism, Civil Rights, Corruption, Economics, Equality, Health Care, Human rights, Imamu Baraka, Income Inequality, single payer, social justice, Women's Issues, workers' issues on January 14, 2018 by MNgranny.